Jon Jones (22-1, 1 NC MMA, 16-1, 1 NC UFC) is set to rematch Alexander Gustafsson (18-4 MMA, 10-4 UFC) at the main event of UFC 232 on Saturday night. Instead of T-Mobile Arena in Las Vegas, Nevada, the two will face at The Forum in Inglewood, California! Jon Jones and Alexander Gustafsson have already fought at UFC 165 when the Swede surprised Jones with amazing performance. Jones won that match via unanimous decision. Yet, many believed Gustafsson should have been claimed the winner of their first fight. Let’s remember, Jones suspicious sample contained a trace amount of Turinabol, or Chlorodehydromethyltestosterone. Yet, this finding doesn’t have to mean Jones drug test was positive. Jon Jones was already punished for Turinabol once, following his UFC 214 win over Daniel Cormier, which was later overturned to no contest. “Bones” received a reduced 15-month sentence because of “substantial assistance rule”. The judge Richard McLaren believed he didn’t break the rules intentionally. But NSAC didn’t grant Jon Jones a license to fight, claiming there was not enough time to investigate the results. UFC had no choice but to relocate the whole event! 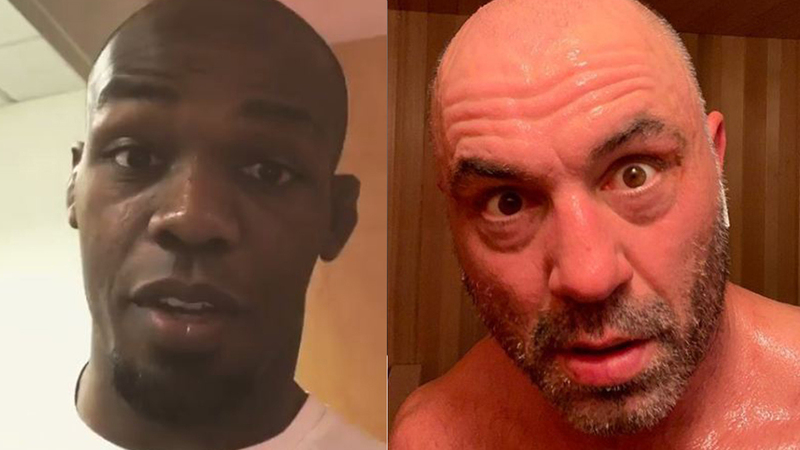 Joe Rogan can’t understand why Jones wasn’t allowed to rematch Gustafsson in Nevada. Andy Foster, CSAC executive director, gave the former UFC Light Heavyweight champ a license to fight because USADA didn’t believe Jones’ result was a violation, but a “residual pulsing effect” from his previous positive test. But CSAC also asked some extra tests to grant Jones license, so “Bones” enrolled on Monday in additional VADA testing program. He is officially the first fighter who takes part in both VADA and USADA testing at the same time. Joe Rogan agrees with Andy Foster. According to Rogan, if there are scientific proofs this is the same substance Bones was already punished for, there should be no obstacles for his UFC return. But Joe Rogan made a controversy too. Do you support Joe Rogan? Do you think NSAC was unfair towards Jon Jones?